I have been the biggest slacker with this blog. 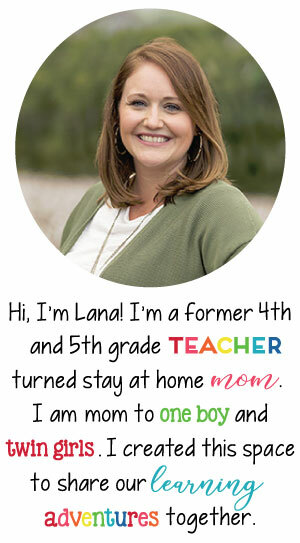 I really hate that I've been so un-motivated to blog about what's going on in my classroom. Between the end of school drawing near (5 full days + 3 half days), this has been the one thing that has been put to the wayside for me. We are in the midst of finishing up a fraction unit that our district sent us to use to cover the Common Core Math standards for 4th grade. 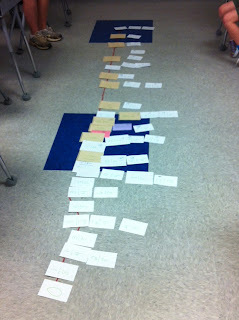 One of our lessons included a long number line. We started off by sorting the fraction cards (which I made using index cards and a small notepad) into whole numbers, improper fractions, etc. It was a good review of how to change an improper fraction into a mixed number and equivalent fractions! I really wish I had more to share, but I am in the midst of packing up my entire classroom! We had to pack everything up for summer cleaning, which is a pain! Slowly but surely, my room has went from cute to very plain jane with lots of boxes. Do you have to pack up your classroom? I say this every time, but we've been just crazy busy with school being over in 10 full days and 3 half days! Who's counting though, right?! This week we finished those dreaded standardized tests!! Each morning my partner teacher and I had the kids a piece of candy and a little note of encouragement. We have also worked hard on Mother's Day projects. We started by me taking a photo of each child holding a sign that said "I love you to pieces!" Then, we colored the back side of puzzle pieces and glued them around picture frames. We also wrote an acrostic poem. Although not everyone has a mother to give it to, it still is so sweet and we tell them it's their choice who to give it to, whether it's a mother, an aunt, or a grandmother.